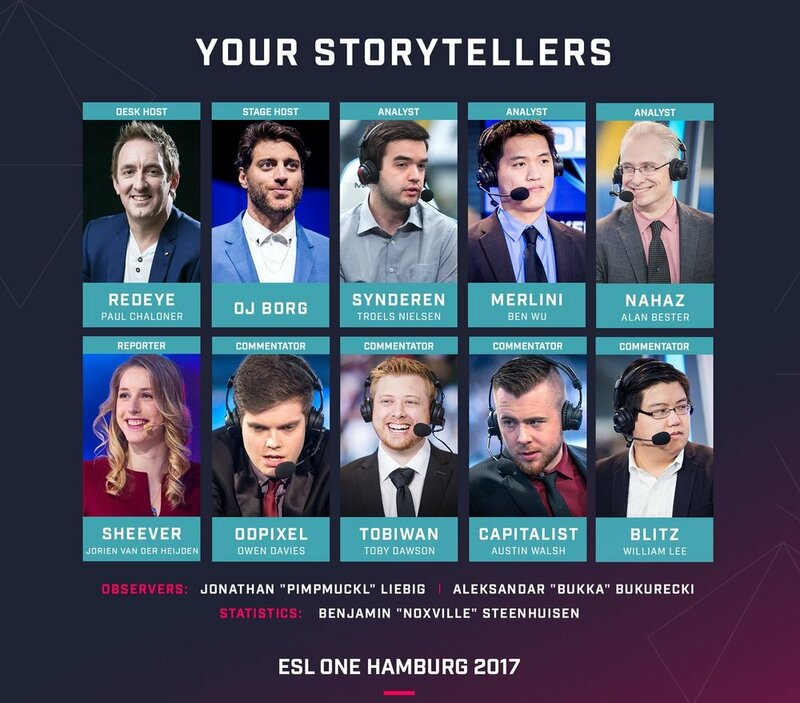 ESL One Hamburg 2017 will take place at Barclaycard Arena in Hamburg, Germany from October 26 to 29. Eight teams will clash for a $1,000,000 prize pool and 1,500 Pro Circuit Points. The participants will fight the group stage split into two groups, and only the best four will advance to the best-of-three single-elimination playoffs. The full schedule of the event is available here. The event will have also a dedicated statsman, Benjamin "noxville" Steenhuisen; while on the desk we wil enjoy the analysis of Ben “Merlini” Wu, Alan “Nahaz” Bester, and Troels “syndereN” Nielsen.